TitleMatch helps you manage your collection in real time. As you add to your list, titles that are already in your collection (or those that are on another list) are marked with a color-coded TitleMatch icon so that you won’t accidentally order duplicates. You can view matches in a collection for a single location or multiple locations. Additionally, you can view matches on your Mackin lists (submitted or unsubmitted) or on previous Mackin orders. NOTE: Due to possible variations in MARC records, publisher data and other factors, your TitleMatch results may not be 100% accurate. Make sure the TitleMatch column is displaying on the search results and list detail pages to see the TitleMatch icons (see Display More Item Information). TitleMatch information is always displayed on each Full Record page. First click on a title to go to its Full Record. 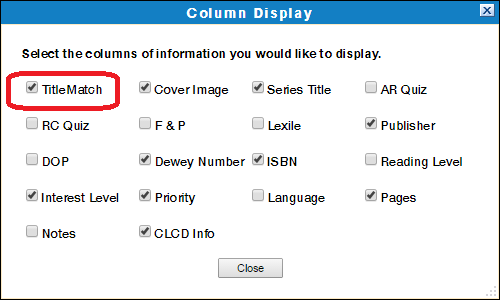 Then choose the Book List TitleMatch tab to see what other lists the item is on. You may also view what list an item is on by mousing over the TitleMatch icon. Please Note: Due to possible variations in MARC records, publisher data and other factors, your TitleMatch results may not be 100% accurate. First you will need to export your MARC records and then send them to Mackin. Find export instructions on the Collection Analysis page. 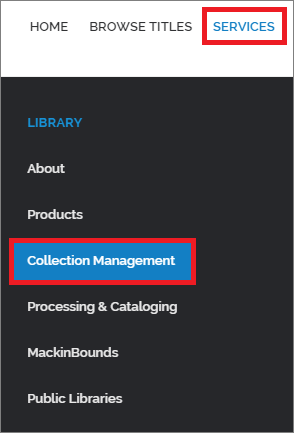 On the Home page, choose Services > Library > Collection Management. Click the Send Records button for instructions on uploading records. Select the uploaded library collections (MARC Records) you want activated for TitleMatch. When a collection is activated, all your search results will include indicators for exact or possible matches. TitleMatch checks the titles on your Mackin lists against your library catalog to see if there are any duplicates. TitleMatch also determines if you have the same title included on more than one list, whether that list has been submitted or unsubmitted. Though they are all Frankenstein titles, only two versions of Frankenstein are designated as having duplicates: the version published by Oneworld Classics and the version published by Abdo Publishing Company. Each is an example of the same versions in different formats. The Oneworld Classics’ Frankenstein comes in both the MackinBound and Paperback formats, so that is considered an instance of duplicates. Separately, the Frankenstein: Single User put out by Abdo Publishing Company is another version of Frankenstein, which is offered in CD format. However, customers also have the option of buying the CD plus a hardbound copy. Therefore, Dup Check finds that the CD format is a duplicate of the CD plus BK (book) format. Dup Check will find exact duplicates (e.g. two paperback copies of Frankenstein published by Oneworld Classics in 2008 on the same list). Additionally, Dup Check allows you to see if two or more items were included on the list that are essentially the same but with different bindings/formats. You may decide to deselect duplicates or keep them on your list. NOTE: Upon request, Mackin will look for titles on your order that you may already have in your library. This is done by checking the ISBNs in your order against those from previous Mackin orders. If there is an exact match, that title will not be ordered and you will be notified. 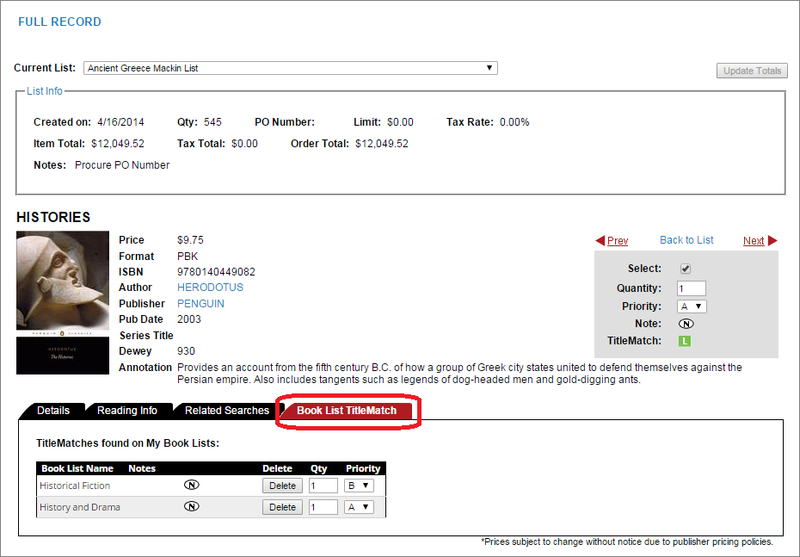 As you know, different publishers use different ISBNs, so we also check title and author for exact matches. If you would like to have us check your Mackin orders for duplication, call our Customer Service Department at 800.245.9540 or email customerservice@mackin.com.